If you own a car you know it’s practically impossible to avoid scratch marks. No matter how much care you take of your car, sooner or later it will have scratches in its paint job either by door dings, small parking incidents or other means. Most of us like to keep our things nice and cars are no exception. Getting your scratches fixed in car body shop is expensive – it can cost hundreds, sometimes even thousands of dollars. For this reason it’s worth so consider a much cheaper alternative – car scratch removers. They are relatively inexpensive and some as I found out work surprisingly good. The best ones get rid of light scratches flawlessly, but keep in mind that they won’t be able to fix most of deep scratches (ones you can feel find the tip of your fingernail). After testing 19 different car scratch removers I have come to conclusion which are the best ones. Read full review now! 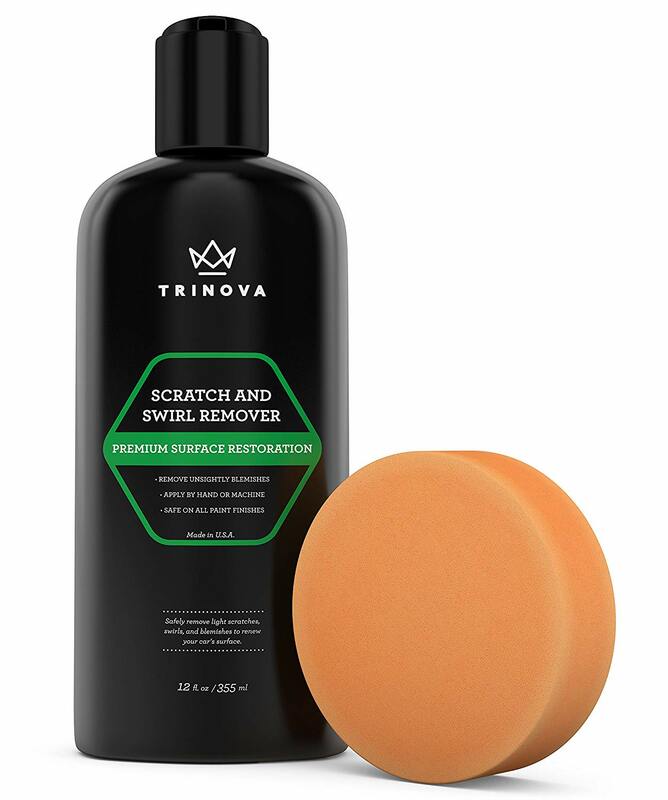 TriNova Scratch Swirl Remover is the best car scratch remover I tried. It does a perfect job of getting rid of light scratches, however it surprised me that it managed to fix some of the ones I was sure were to deep. It fixed some of the scratches that could be felt with fingertip/figernail. The scratches that weren’t completely fixed were greatly diminished. Overall I’m really impressed with this product. 3M is a huge name in automotive business, so I had big expectations. I wasn’t disappointed. 3M 39044 Scratch Remover is very effective and managed to repair some of the bigger scratches that I thought wouldn’t be repairable. The formula of 3M 39044 Scratch Remover contains no wax so scratches are polished out, instead of being filled in. 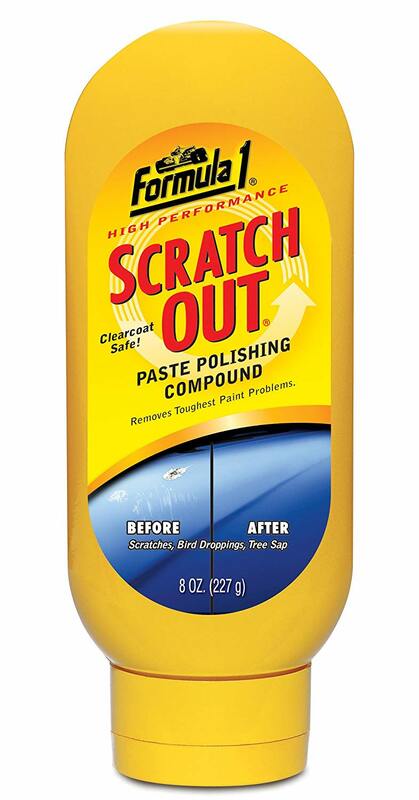 Overall 3M 39044 Car Paint Scratch Remover is a great product! Quwei Car Scratch Remover works perfectly on shallow scratches and drastically decrease deep ones. It does an overall good job of scratch removal and is between the best working products I tested. 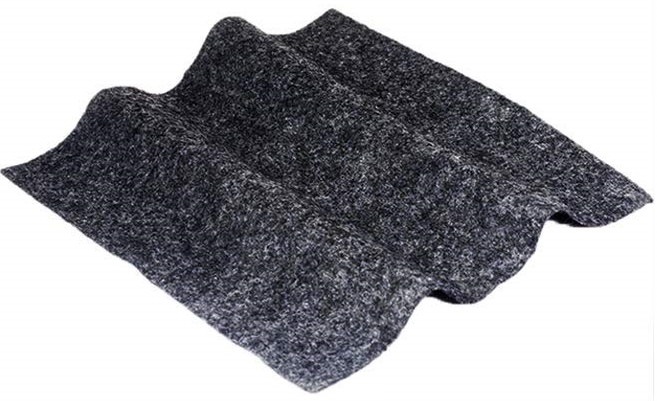 Apply a tiny amount of Meguiar’s ScratchX directly onto a foam applicator pad or a small, clean 100% cotton terry towel. Work a small section (1 inch x 1 inch) at a time, until the ScratchX starts to turn clear. Apply additional ScratchX if needed until scratches are fixed. 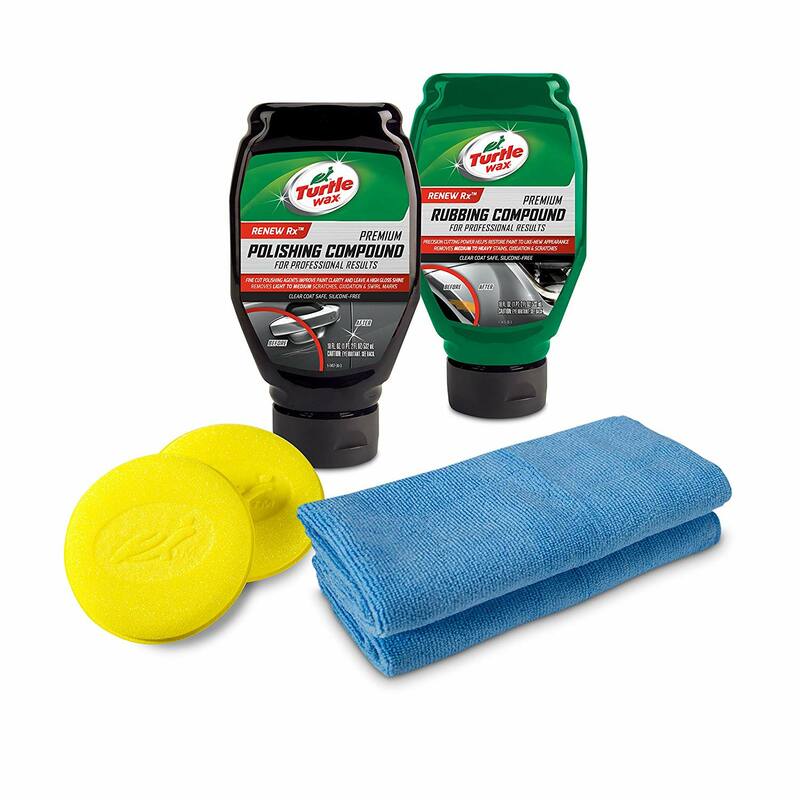 Use Meguiar’s Supreme Shine Microfiber Towel to wipe away any product residue before it dries. Repeat step 4 & 5 until you have fixed or diminished all of the scratches. Finish with any Meguiar’s polish and wax. 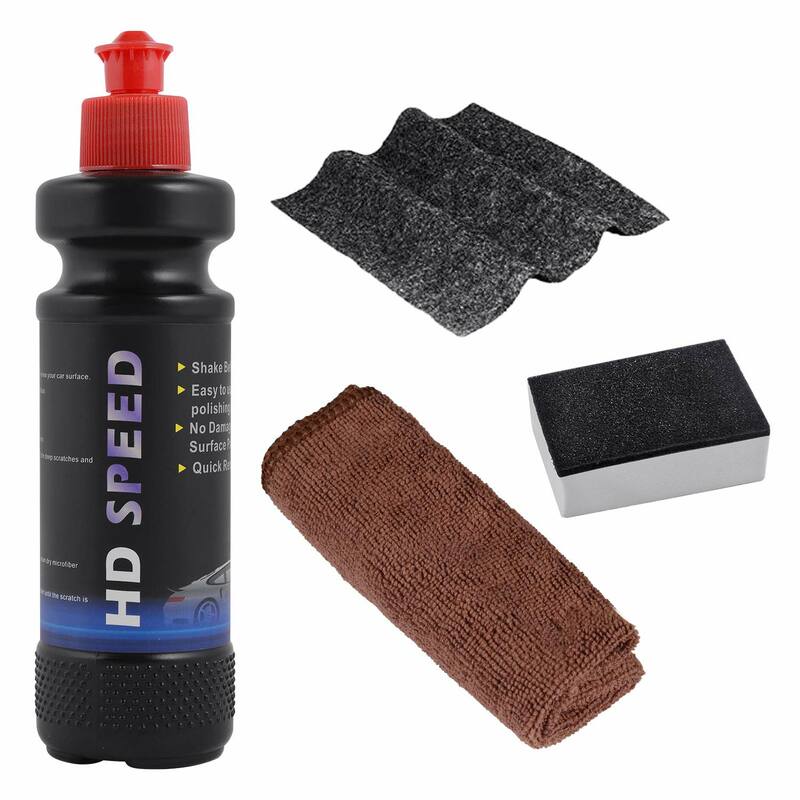 Attach the appropriate “cutting” pad to the Meguiar’s DA Power System or Meguiar’s DA Polisher. 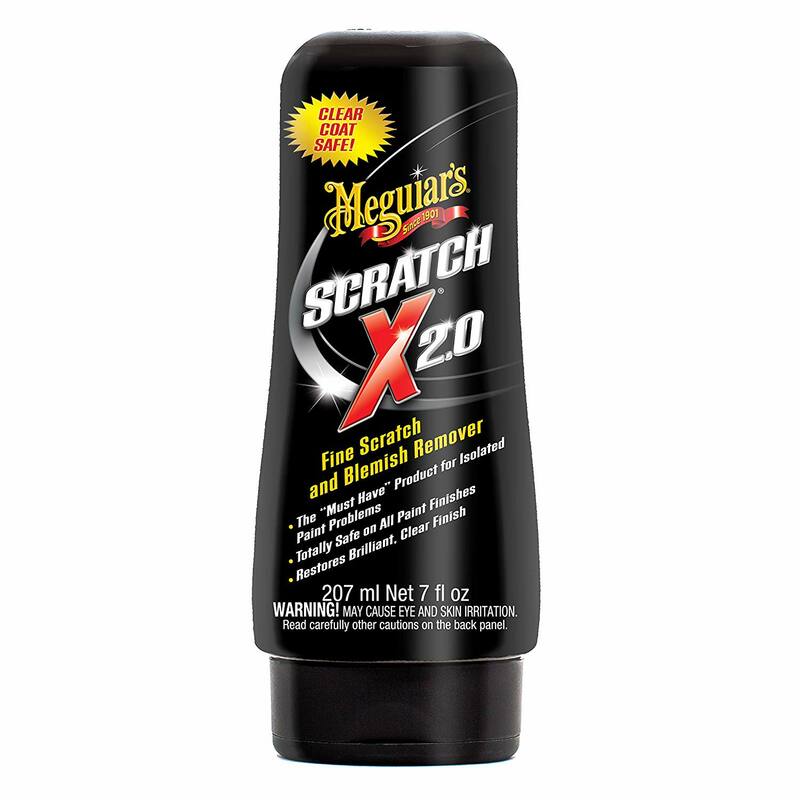 Apply a strip of Meguiar’s ScratchX directly onto the compound pad. Place the face of the pad flat on the paint. 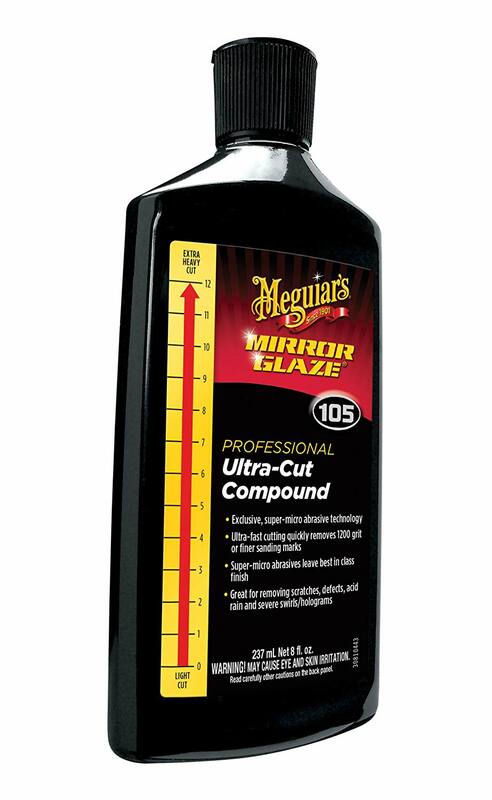 Turn on the Meguiar’s DA Power System drill or Meguiar’s DA Polisher and begin buffing with moderate pressure in an overlapping pattern while keeping the pad flat against the paint at all times. Work a small section (2’ x 2’) at a time, until the Ultimate Compound starts to turn clear. Apply additional Ultimate Compound as needed until defects have been removed. Before moving on to the next section, use Meguiar’s Supreme Shine Microfiber Towel to wipe away any product residue before it dries. Repeat steps 4 and 5 as needed to complete the rest of the vehicle. Follow up with any Meguiar’s polish and wax, like Ultimate Polish and Ultimate Wax. Does a great job of fixing light scratches and swirls. Not the best scratch remover but it works rather well anyway. It does live some powdery mess after use though but it’s not big of a deal. 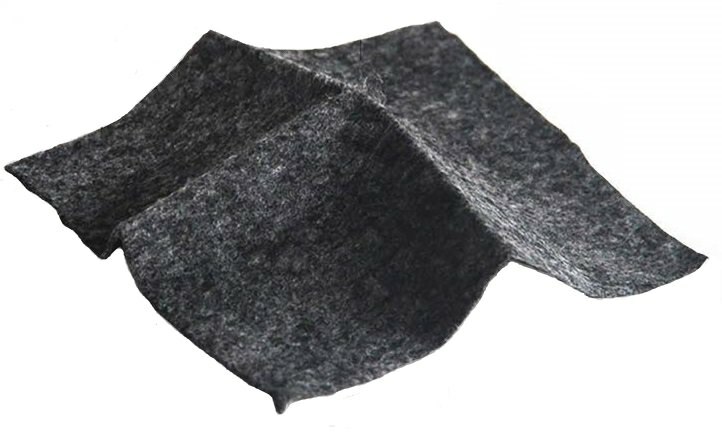 Can you imagine a cloth that fixes car scratches? Sounds a bit like magic but it does kinda work. It fixes most of the small scratches, however not all of them. Those that aren’t fixed are greatly reduced though. 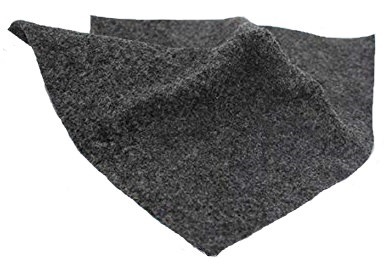 This car paint scratch repair cloth is reusable and can be used around 15 times. Put it back to polybag after use, keep sealed for reuse. Car scratch removal can’t work for severe scratches, such as groove-type scratches, and primer repair. 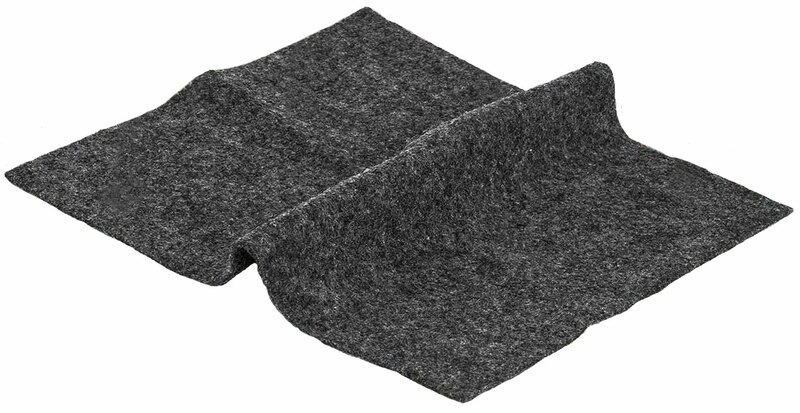 When using the scratch cloth, car surface needs to be clean and dry. Please use it in a 10-40 degree environment. When the cloth has dust, please do not use it again, in order to avoid scratch the car again. If the smart cloth is too dry, spray water in a small amount to keep the smart cloth moist. The dark car will have a color difference after the force is removed. Just use the de-scratch cloth to push it at the same place, and polish it with a dry cloth to restore the gloss. 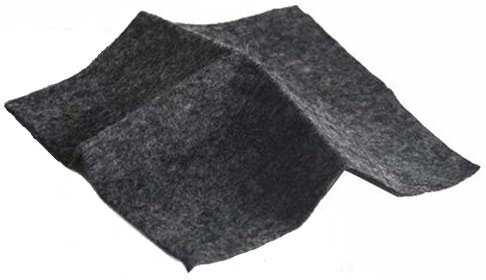 The fabric will change color, but it will not affect the use. Don’t clean the smart cloth. After use, please keep it in the bag and wait for the next use. Do not wash the car within 3-7 days after repairing the paint, try to avoid exposure and rain. Do not use the same scratch remover cloth in different colors car to avoid cross-coloring. If the scratch cloth cannot remove the nail marks on the door, the product can not be used. ShellBox Multipurpose Scratch Remover works very well if you follow instructions. It fixes light scratches perfectly and reduces bigger ones by a big margin. Overall this is a good car paint scratch remover. 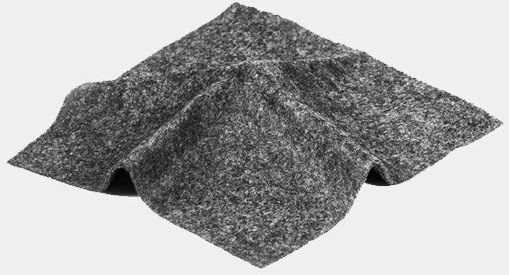 Seems to work the same as upper two repair cloths. Removes light scratches perfectly, won’t work with deeper ones. Overall works pretty good. Sydixon Car Scratch Remover works similarly to YOOHE, GLISTON and Bamoer cloths. Works very well with minor scratches and can be reused 10-15 times! Turtle Wax is another well known name is car industry, so I expected a high quality product that works brilliantly. Well, I guess I’m a bit disappointed. Don’t get me wrong, it does a decent job of removing light scratches, but I expected this to be amongst the best car paint scratch removers, which it’s not unfortunately. Overall there are better products in the market. 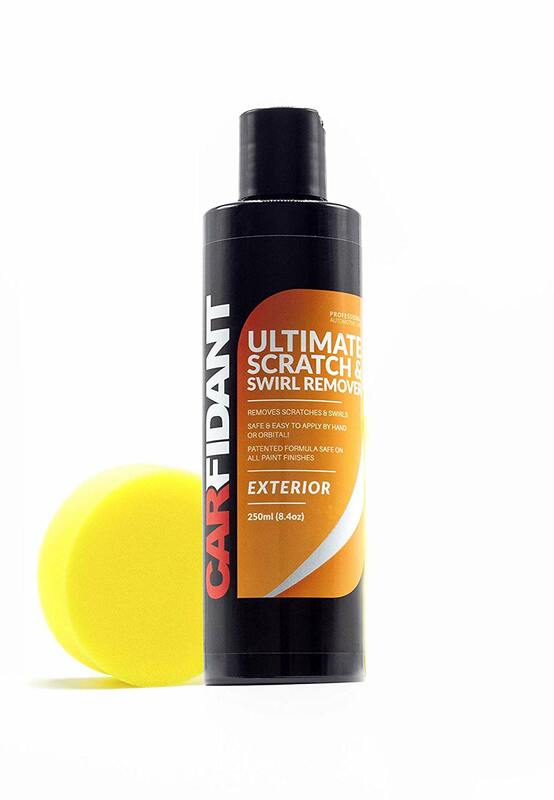 Carfidant Scratch and Swirl Remover works all right. Removes light scratches rather well but doesn’t reduce bigger ones as good as the best products. Opest Car Scratch Remover Cloth works well on small scratches. However it doesn’t work as well on bigger ones like the best products out there. Overall it’s a pretty decent product that does work but there are better options to choose from. Another product from well known manufacturer Turtle Wax. Turtle Wax 50758 Color Magic Scratch is made from deep scratches and rock chips. It does a good job of filling the scratches, but there is a chance that the color might not match the cars color perfectly. If your car is white and you order white color magic scratch the colors might be slightly different and although it will do a good job of filling the scratch there is a high chance that the filling will be in slightly different color than car itself. That’s why I would suggest using this only if you have a cheap car as the end result might look kinda cheap. Formula 1 scratch remover works ok but it’s not as good as some other brands. Fixes light scratches, doesn’t do much on bigger ones. Transy Car Scratch Remover works rather well of smaller scratches, however some of them can be still seen at an angle. Overall it works but there are products that work better. Another car scratch remover cloth however this one doesn’t work as good as others. Initially everything looks good and it seems that the cloth fixes a large amount of scratches, but after few days most of them come back. They seem to be a bit reduced than they were before, but the end result is quite disappointing. 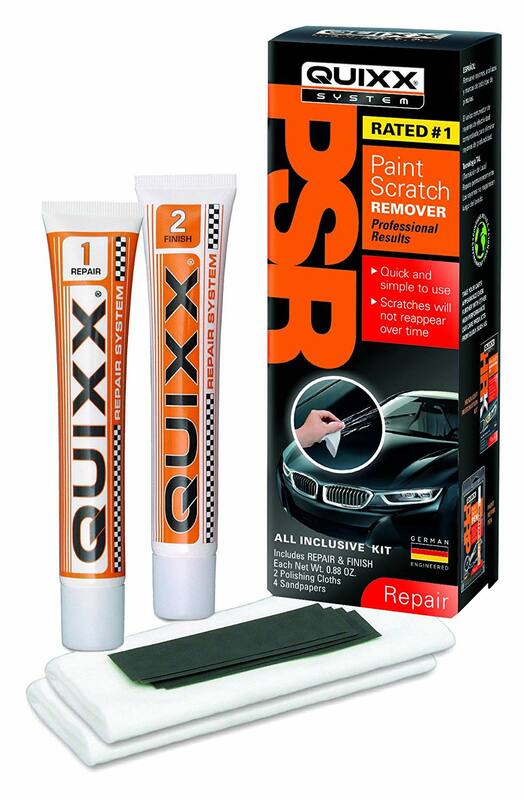 Quixx 00070-US Paint Scratch Remover Kit doesn’t seem to properly fix the scratches but it reduces light ones. Overall it does kinda work but in a very weak way. I suggest you to pass on this product and get another scratch remover, most of the other products I reviewed worked much better! 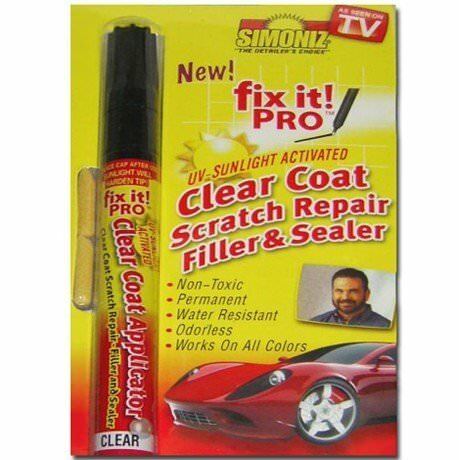 Fix It Pro Clear Car Scratch Repair Remover didn’t seem to do anything. It didn’t fix any of the scratches, even light ones. Avoid this product!